Multiple displacements have taken place in Central African Republic (CAR) since 2005 as a result of conflict and crime. Since December 2013, nearly 900,000 people have fled their homes: an estimated 436,000 people are internally displaced, and an additional 460,000 people have found refuge in four neighbouring countries: Cameroon, Chad, the Democratic Republic of the Congo (DRC), and the Republic of the Congo. To respond rapidly to needs and sudden events, UNICEF and NGO partners – ACTED, Action Contre la Faim, Solidarités International and Première Urgence Internationale – have established a Rapid Response Mechanism (RRM) in 2013 covering all the country. The RRM focuses on implementation of multi-sector assessments post-conflicts or natural/environmental disasters which inform intervention in Non-Food Items (NFI) and Water, Sanitation and Hygiene (WASH) when there is no capacity on site, and enables monitoring of humanitarian action. REACH is providing information management support to the RRM since 2015 and has developed an online dashboard to monitor the evolution of the RRM on a monthly basis, as well as monthly RRM factsheets. In the month of February 2017, 34 activities were implemented by RRM partners, be they exploratory missions, assessments, NFI distributions, or WASH interventions, reaching out to a total number of 14,000 beneficiaries for NFI interventions and over 6,200 for WASH activities. REACH will continue to support the Rapid Response Mechanism in CAR to ensure critical situations are urgently identified and allow for an early humanitarian response. Among the RRM strategic priorities for 2017 are the implementation of a pilot project of NFI fairs and a redefinition of the RRM geographical coverage. Capacity building of RRM field teams will also be supported by REACH with assessment tools, data collection, and GIS trainings. Access the Rapid Response Mechanism (RRM) Factsheet of February 2017 at this link. 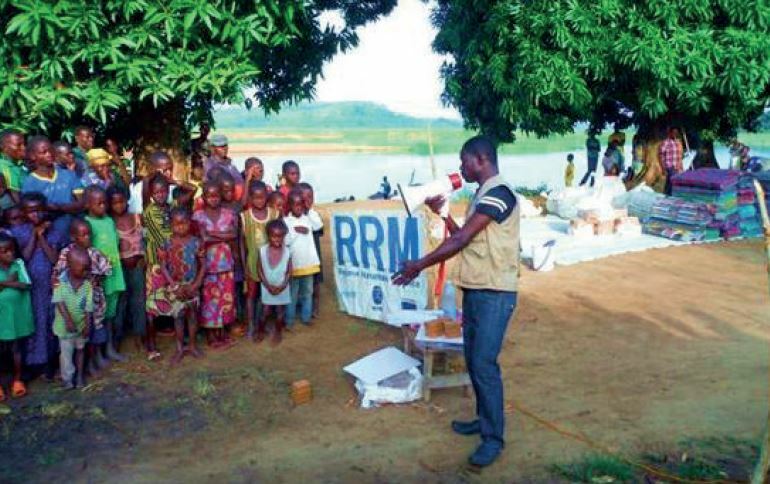 Get an overview of the RRM activities, methodology, and findings with the Annual Factsheet (1st January – 31st December 2016) at this link.